WEDNESDAY, Jan. 17, 2018 (HealthDay News) — It’s important to take a second blood pressure reading if your child’s first reading points to high blood pressure, researchers say. “Pediatricians don’t diagnose hypertension in children very often, but if it is there, we want to find it,” said study author Dr. Robert James Riewerts, regional chief of pediatrics for the Southern California Permanente Medical Group. 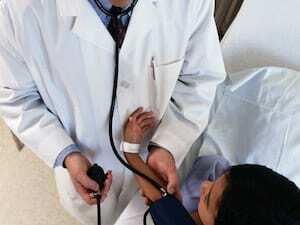 It’s common for the blood pressure of children and teens to vary quite a bit, the researchers noted. What’s considered high blood pressure also varies for young people based on their gender, age and height. “Because an elevated first blood pressure in youth is common, correct identification of truly elevated blood pressure may be a first step to improve the recognition of hypertension in pediatric care,” Corinna Koebnick, who’s with the group’s research and evaluation section, said in the news release. “If hypertension is missed, children and teens may not receive the counseling they need for lifestyle changes or medication,” she said.